I'm not going to lie to you. I'm not a glasses person. 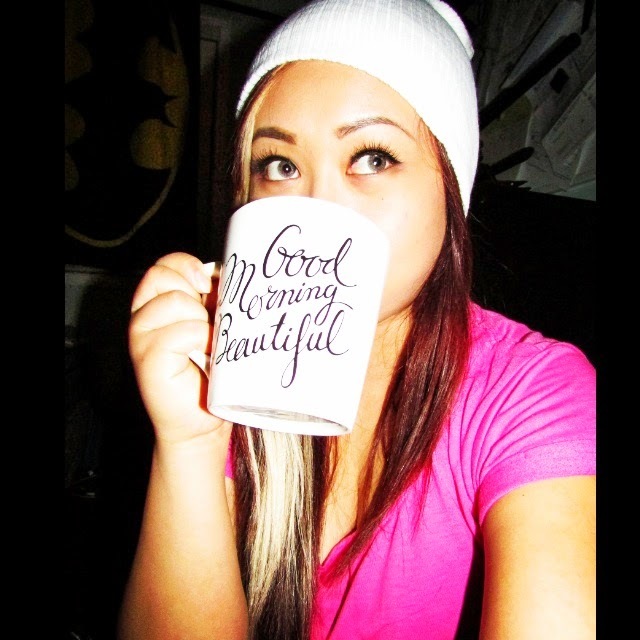 I love wearing coloured contacts, and I would choose to wear contacts over glasses any day. When GlassesShop.com offered me glasses, in exchange for my honest review, I decided to give it a shot. 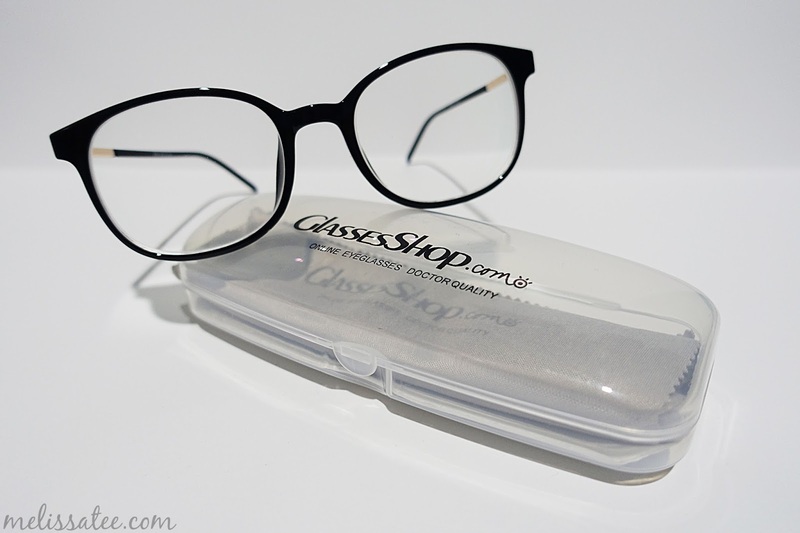 GlassesShop.com is an online retailer for cheap, affordable glasses. It's a great place to purchase all your eyeglasses online, offering a variety of styles. 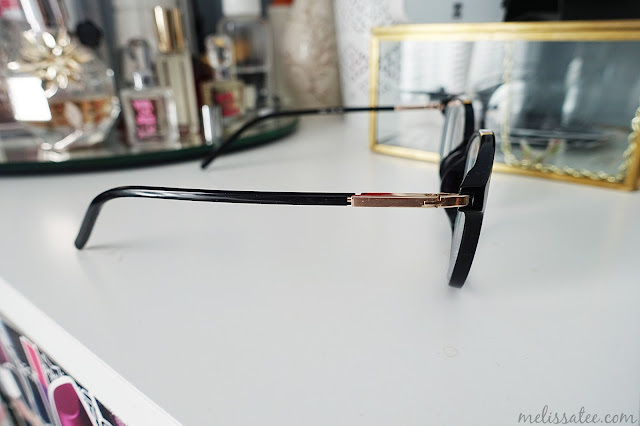 They do try and stay up to date with the trends, so you can easily find a cute pair of glasses to suit your needs. Besides providing prescription glasses, they also offer prescription sunglasses too. I do have to mention though. These glasses will be shipped from China, so expect a very long wait for them. 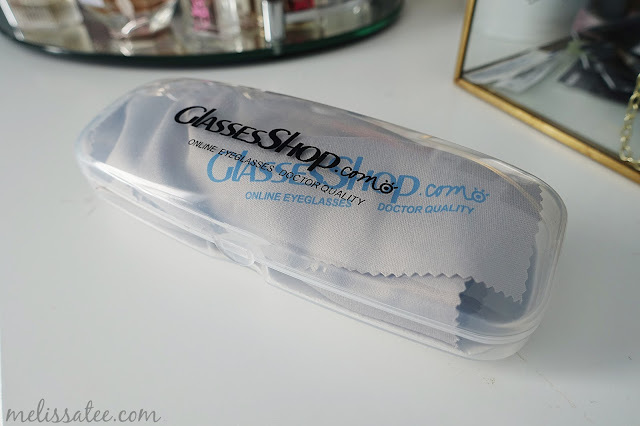 The glasses came in a small white box, along with a clear plastic glasses case and grey glasses cloth. 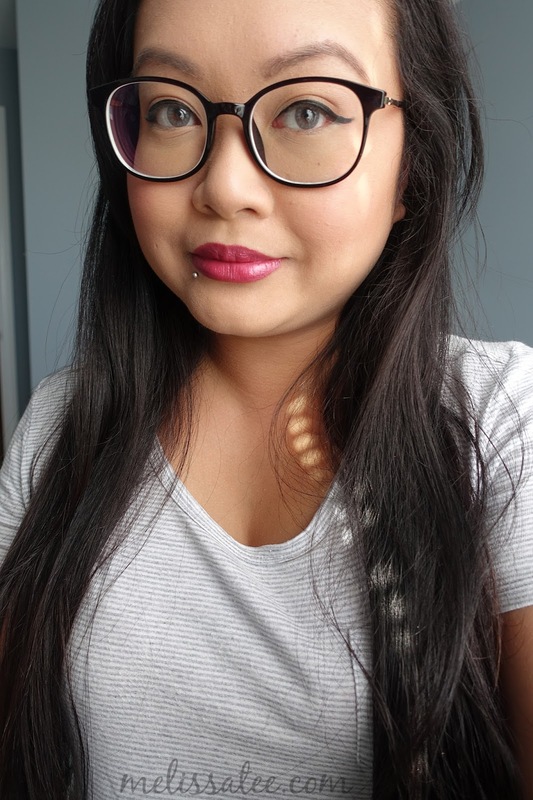 I chose the Anaheim Wayfarer Glasses because I wanted something thin on the sides, and that would look good with my round face. I normally only wear glasses when I'm at home, or when my eyes hurt from wearing contacts all day. I absolutely love the touch of gold on the sides of the glasses. The glasses are very lightweight and feel quite durable. For something so affordable, they are great quality. I was hesitant ordering glasses online because I couldn't physically try it on, or know the distance between my pupils. It was quite easy to measure it too. To measure the distance between your pupils, get someone to do it for you, or stand in front of a mirror. Get a ruler and place it in front of eyes. Measure the distance between the centers of your pupils, to determine the distance! Normally I hate glasses, but I love these ones. They're very comfortable on, and I LOVE that the frames barely touch my cheeks. I've been on the hunt for glasses that don't touch my face constantly because of my fat cheeks, and I think I've found them. Most glasses I had would just rest on my cheeks all day, getting my face all moist and oily. If you're interested in purchasing a pair of glasses, you're in luck! With the promo code GSHOT50, you'll be able to get 50% off a pair of glasses or sunglasses with free lenses (sale frames excluded). 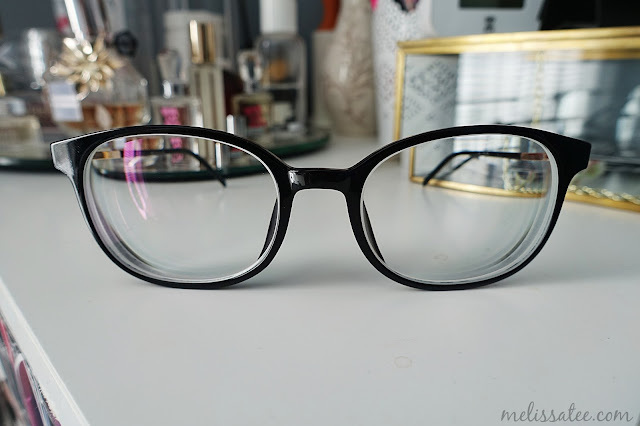 As an avid contact lens wearer, it's a nice change to have glasses, especially ones that I really love. I'll definitely be trying to incorporate glasses into my daily life, to give my eyes a rest from contact lenses.